Breathtaking – but does it make you swoon? The Sistine Chapel ceiling painted by Michelangelo. There's only one problem with an attempt by Italian scientists to test the reality of Stendhal syndrome, the condition of being so overcome by beautiful works of art that you actually swoon, or at least go weak at the knees. It was first recorded by the 19th-century novelist and art critic Stendhal in Florence, and so scientists are to monitor the vital signs of tourists in Florence after they see works of art. 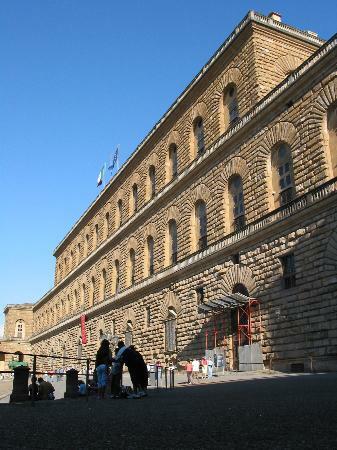 Their mistake, I fear, lies in their choice of the Palazzo Medici Riccardi as the test site. In the 15th century, when it was built as the town house of the Medici family, this was truly a place to make you pass out. It held an overwhelming ensemble of great works, now scattered around the world, with notable treasures in London. Later the palace belonged to another family as the Medici made themselves Grand Dukes of Tuscany and inhabited more grandiose Florentine buildings. Today, much of it is occupied by government offices and only vestiges of its beauty endure – admittedly including Gozzoli's fresco of the journey of the Magi. This is a delightful work but not, I think, in the Stendhal syndrome category. It would be much more effective to put the heart monitors at nearby San Lorenzo, where anyone with a soul emerges stupefied from the sublimely dark and disorientating architecture of Michelangelo's Laurentian library. That really can discombobulate you. But seriously – can great art have a physical effect? My recent holiday was in Venice, rather than Florence. It has its own, different beauty – more colouristic, molten, and dreamy. I think the answer is yes. The beauty of Italian art has a concentrated perfection and transcendent sensuality that is incredibly addictive. I still feel a bit strange almost a week after coming back from Venice – like a stranger on the traffic-perfumed streets of central London, pining for the Bellinis (meaning the paintings of Giovanni Bellini – we didn't get to Harry's Bar). Even though I suspect the scientists may have set up their gear in the wrong place, they are surely on to something. There is something dangerous about great art. That is what makes it great.